Scott McLaine and Angie Merget empowering Human Resource Managers with Employee Financial Wellness Options, Tools, and Events. 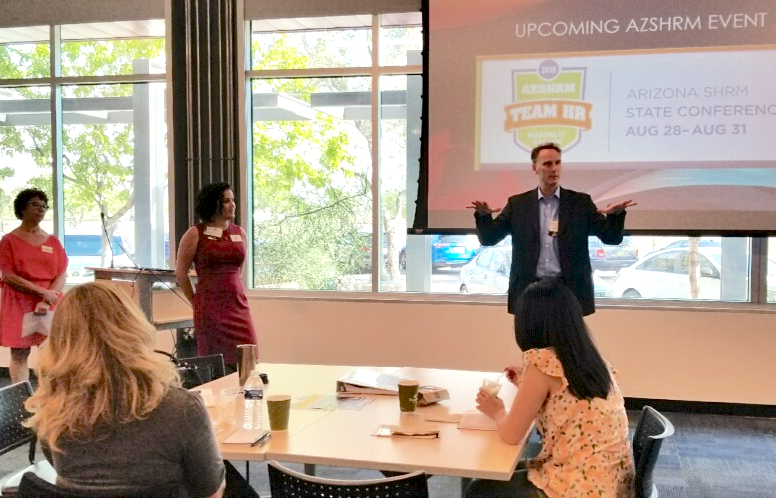 This morning BrightWealth Academy had the opportunity to speak briefly with local valley HR Managers and Directors about their financial wellness options. BrightWealth Academy continues its mission to financially empower AZ businesses and their employees. Angie Merget was onsite to share information, schedule impact workshops and as a general resource for HR Managers needing more information on Financial Wellness.